Open and Active Communication is one of the most important ways to establish strong relationships with everyone in your hospital or health network but even more so with your physicians. Will physicians be enthusiastic cheerleaders (or more importantly refer patients) for your organization if they feel that their feedback is lost or ignored? What about if your physicians feel that your organization is disorganized or slow to react? Of course not! There are numerous financial reasons why pleasing your physicians is important. So take the first step in engaging and satisfying your physicians: use your intranet as a physician communication portal which in turn will make it into a physician recruiting tool. Ensure that the intranet is always accessible even remotely. There are various approaches that allow publishing an intranet securely on the internet. If your physicians can’t access your intranet from their home or office locations then your intranet is not speaking to your physicians. 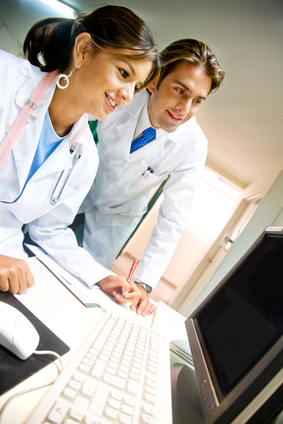 Ensure that you have a dedicated area on your intranet that is devoted to communications with your physicians. Put the information that physicians care about front and center; have physician information appear the moment the physician logs into your intranet without making them navigate or search for the information. This shows your physician that their time is valued. Provide hospital administration, medical staff coordinators as well as physician leadership with a fast, reliable and easy means to publish information such as meeting calendars and minutes, announcements, surveys as well as policies, procedures and standing orders. Give your physicians a voice by providing communication tools that allow physicians the ability to submit feedback and requests to hospital administration as well as bounce ideas and thoughts off of other physicians associated with your organization such as with blogs or forums. True physician alignment and physician retention can only be accomplished if there is organized and coordinated communications between your physicians, hospital administration as well as the rest of the organization. Provide your physicians with an intranet platform to communicate among each other, with physician leadership, with hospital administration, medical staff coordinators as well as the rest of the organization and the physicians will see that they have a voice and that their input is important to the entire organization. Top-notch tenured physicians are the hallmark of a quality hospital. It is more important than ever that your organization do everything possible to retain physicians and recruit others. Make sure you are making the best use of your intranet to reach this goal.